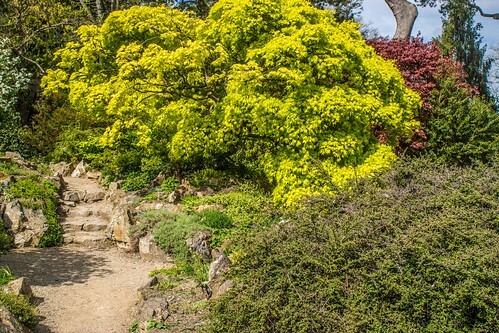 The National Botanic Gardens are located in Glasnevin, 5 km north-west of Dublin city centre. The 19.5 hectares are situated between Prospect Cemetery and the River Tolka where it forms part of that river's floodplain. The gardens were founded in 1795 by the Dublin Society (later the Royal Dublin Society) and they have grown to hold 20,000 living plants and many millions of dried plant specimens. There are several architecturally notable greenhouses.